Students had the opportunity to explore the vast number of career choices within the Defence Forces as part of an open day. The group traveled to the Army Logistics Training Centre where they were able to take part in fitness tests, weapon handling, exploring all the different army vehicles as well as simulated weapon target firing. 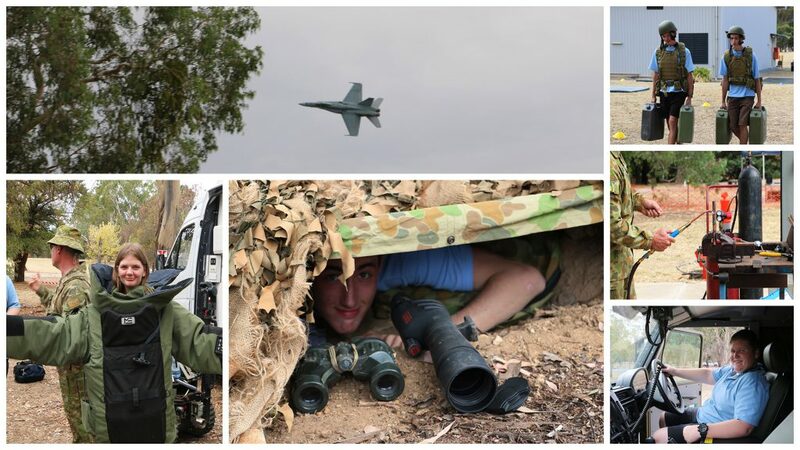 The day gave our students an insight to the many career pathways that there are in the Defence force and showcased technical and other trades offered by the Training Establishment within the Army Logistics Training Centre. Some of the trades which included electrical, mechanical engineering, field cooking and transportation were all on show. The careers in health display offered the opportunity to study nursing and where this particular pathway could take them within the defence forces. The students came away with a lot of very valuable information about Australia’s largest employment force and what it can offer.